Following my last post on YesStyle shoes haul and review, this post will be dedicated to my favourite winter boots! Brown knee high boots that I bought a few years back as well. 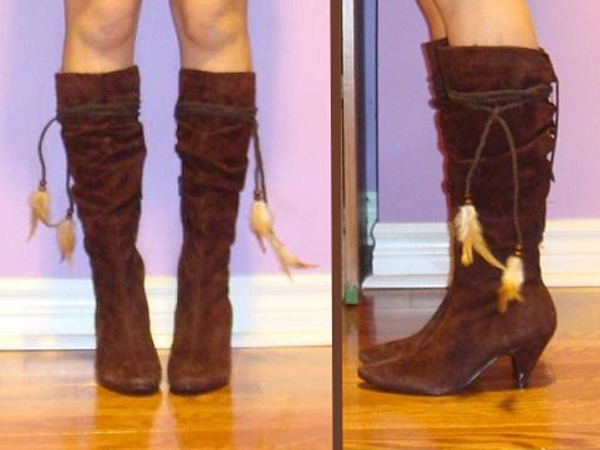 I also DIY this pair of boots by tying a feather hair accessory around the boots for a more winter look. Just adding a simple hair accessory can change the look of the boots to look more "kawaii". Mid-calves black boots with strings at the side. These are my most worn winter boots. They pretty much go with any outfit that I wear and I wear them almost daily! 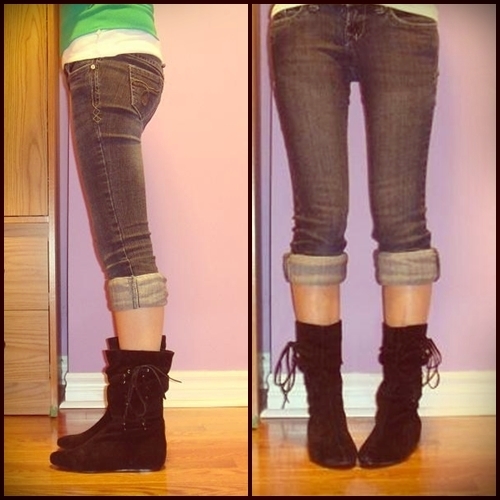 Side-bow black boots. I love bows! They also have platform heels so it gives me a little height boost. Love how cute and elegant these boots are. This is my all time favourite boots to wear in the winter! It's a long over the knee high boots with heels. This pair of boots is like having 10 pair of boots in 1 because you can adjust the length of the boots to any length you want! Isn't that so awesome?! I especially love wearing these boots with dresses because it gives off that elegant sweet look and it also elongate my legs making them look longer.